Father John established a Facility Improvement Committee in 2015 to determine a five year facility improvement / maintenance plan. Improvement Committee submitted five year plan to Father John and the Finance Committee April 2016. Finance Committee advised Father to proceed with a campaign to fund the five year improvement plan. Father John established a Capital Campaign Committee in August 2016 with the goal to raise 1.5 million dollars. September 2016 the Bishop approved the Campaign. Facility improvement is Diocese priority. Beginning July 1, 2016 collections and donation drives to fund for facility improvement will be exempt from the Our Catholic Appeal Calculation. 100% of the funds collected will be used by Epiphany. Caveat is that implementation of the program cannot negatively impact offertory collections for any given fiscal year. 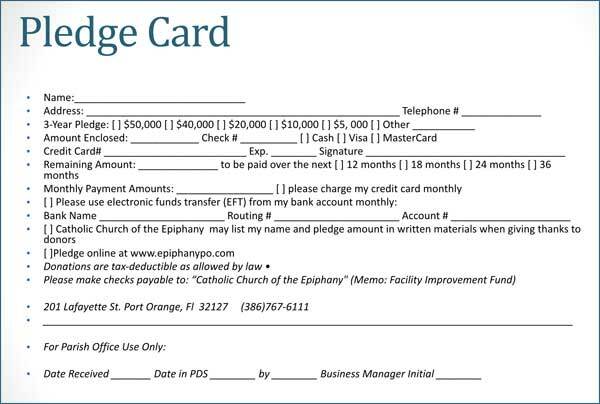 The Pledge Card can be printed and turned in at the church office or dropped in the offertory during Mass. You can also easily make your pledge online via PayPal or make an online donation any time during the campaign. Online commitment and contribution options are listed below. Making your pledge online with convenient and affordable automatic monthly drafts requires a PayPal account. If you do not have a PayPal account, you will be prompted to create one quickly and securely when finalizing your pledge. 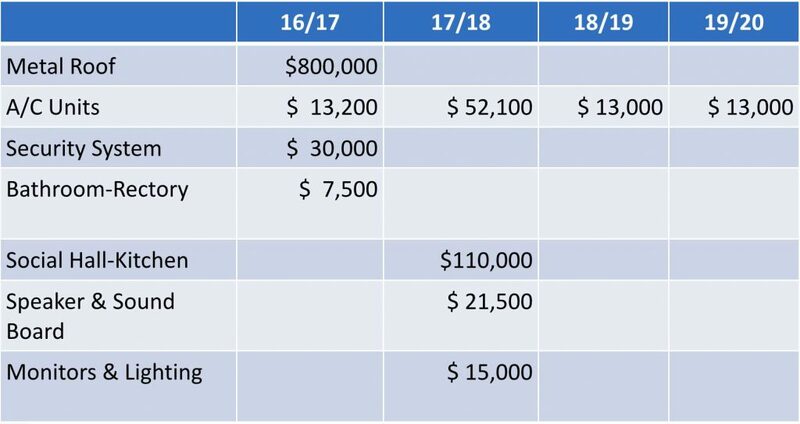 Please review the available online pledge amounts and corresponding monthly payment/term in the chart below and make your selection from the drop down tab. You may also make an online donation with your credit card any time throughout the campaign by clicking the SINGLE DONATION button below. Thank you for your generous contribution to Epiphany’s Facility Improvement Capital Campaign. Your support will enable the people of this parish to elevate our service to one another, throughout the local community and beyond.